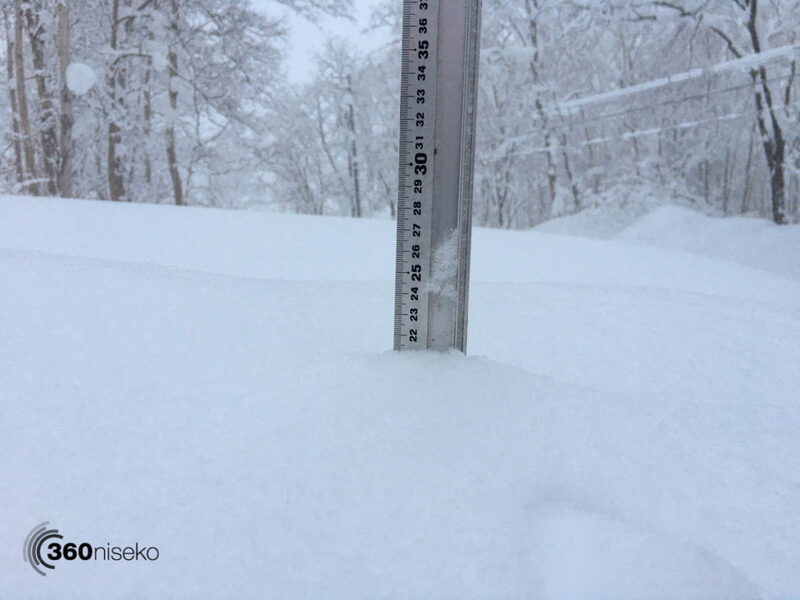 *22cm has fallen in the last 24 hours in Niseko. At 07:00 today the temperature was -5°C. Just when we thought the snowfall could not get any more full on….it does! It is absolutely DUMPING this morning. 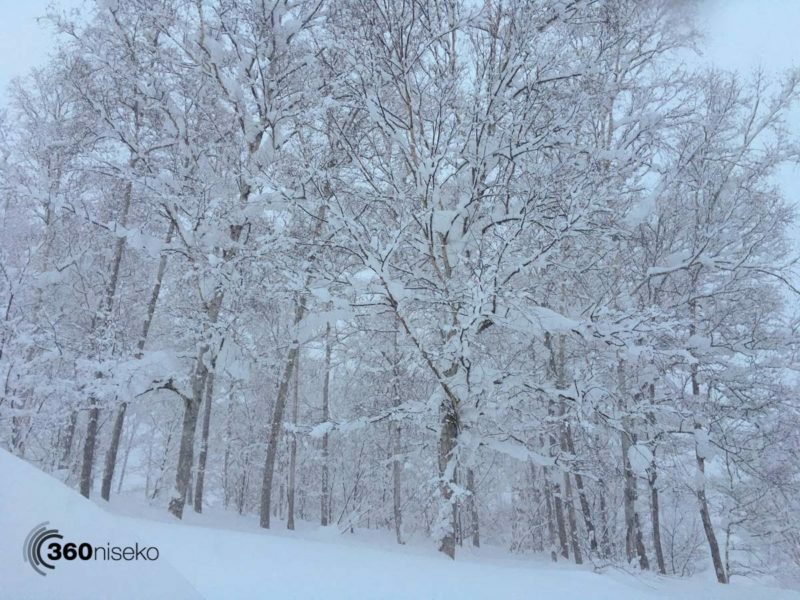 Another heroic dump in the last 24 hrs has the Niseko region groans under the relentless snowfall that has gone one for what seems like an eternity!! Wow. We have just passed the 12 meter mark for accumulative snowfall we have already had nearly 5 more meters of accumulative snowfall than we recorded for the entire season last year. Today will be yet another deep powder feast ANYWHERE. Powder boards….fat skis…um…snorkels….have fun! Oh, and there is no sigh of the snowfall letting up for the next WEEK! !